So one thing I'm always a sucker for is nail polish/care sets. It just feels satisfying to get a few things at once that all work together. You know what I mean? 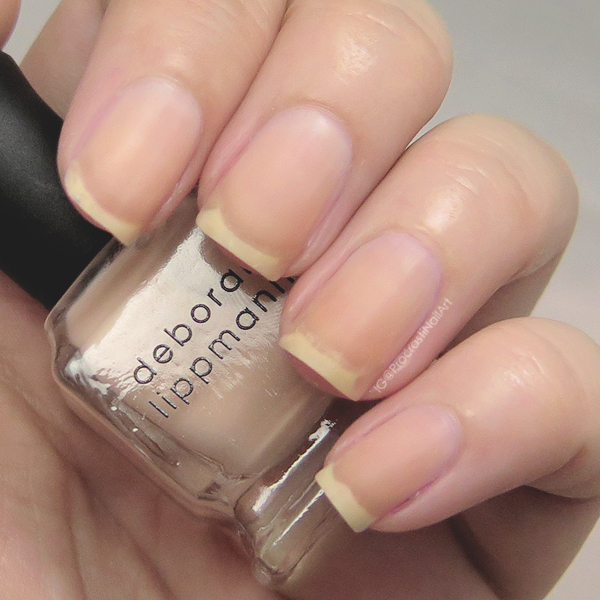 Today I'm review one of my new favourite nail prep and nail care sets: the Treat Me Right trio by Deborah Lippmann. 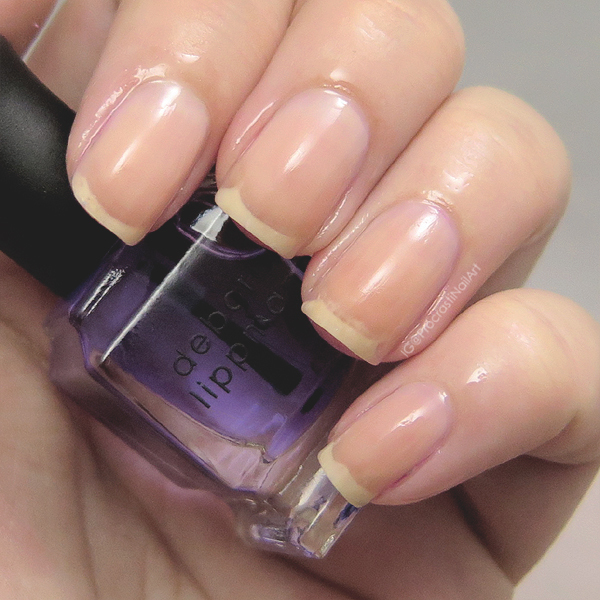 :) It includes a base coat, top coat and cuticle oil. They're in mini size but I already know I'll be picking at least one of them up in full size once these are done - I like them that much! Which one am I the most in love with? Check out the full review below to find out! First up is my new go-to base coat! 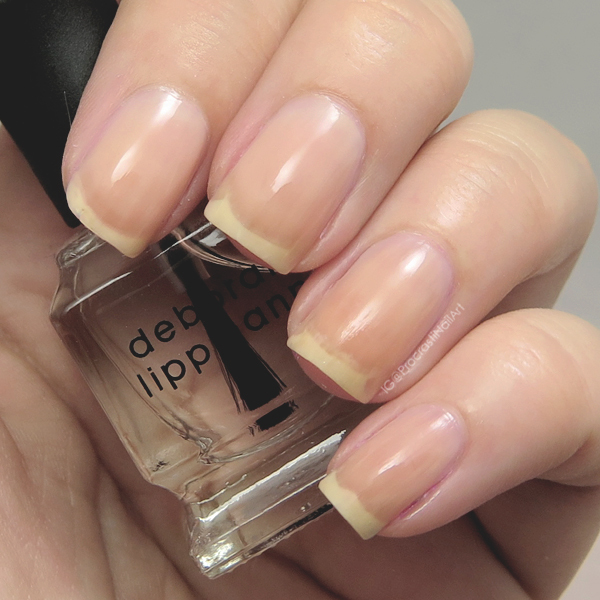 It's a correct and conceal base coat and though I thought the colour was going to be too opaque at first, once it was actually on the nail it provided the perfect hint of tint to make my nails look healthy. And one thing I really love? It dries matte! 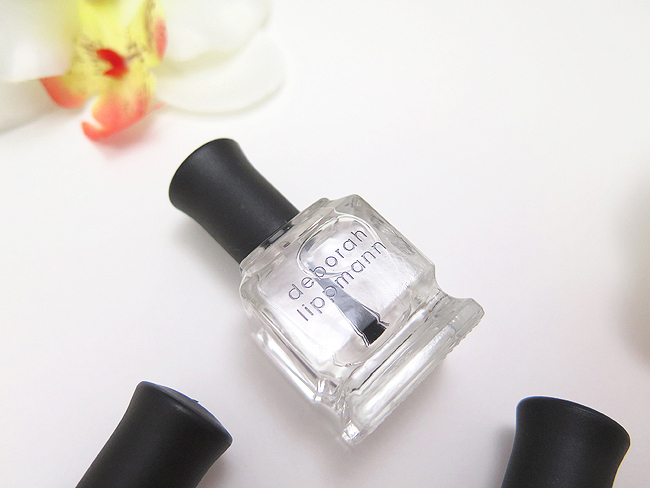 Like, gorgeously matte, and it dries to that finish in seconds! 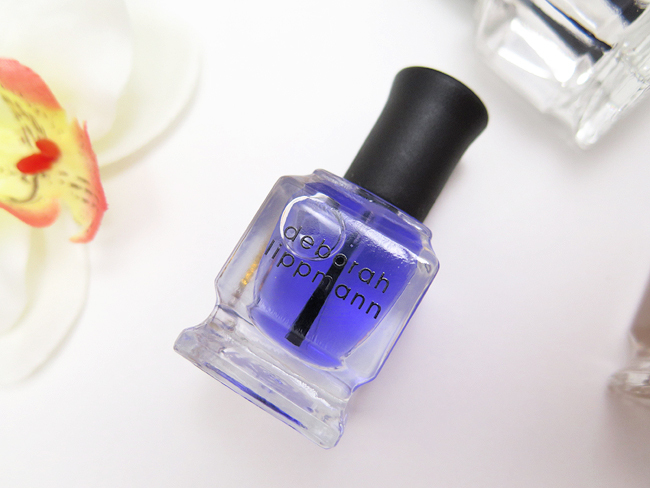 This is a hydrating cuticle treatment that smells a bit like coconuts. I really like that it has a brush for application too - I like that more than droppers or rollerballs. That being said the brush is a bit stiff, but it doesn't cause any application issues. It soaked in well for me, and the scent didn't linger which my allergies appreciated. Overall I'm pleased with this set, especially as I got it for $10 on clearance! Woohoo! Most definitely worth it. 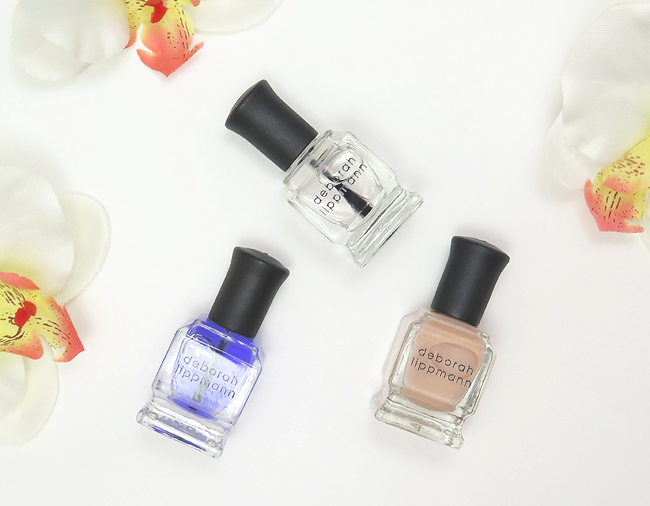 :) I'm in love with this new base coat, and the other two products are great too. I am a happy Katherine! If you see this set around I would definitely recommend picking it up! Its great to hear you enjoyed using the set. You got it for such a steal at $10 too. This sounds like such a great set! The base coat sounds great! Dang! $10?! Not too shabby! Glad they were all pretty good! It's great that all of these worked well for you!